Figs seem to be popping up everywhere I look at the moment. They're all over my Instagram feed and beautiful boxes of them are tempting me in the supermarket. I know how Adam and Eve must have felt. 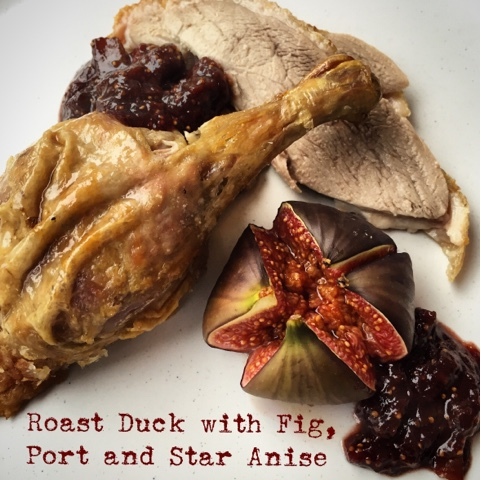 When Gressingham Duck, the remarkable duck people, asked me to come up with a twist on the usual fruity sauces served with roast duck, figs immediately sprang to mind. This fruit is worthy of much more than the humble Fig Roll. Combining fruit with meat is a bit of a Marmite thing for some folk. With the exception of a Ham and Pineapple pizza I'm generally in the love camp. In some cases its a real match made in heaven. Pork & Apple being a perfect example. The sharpness of the fruit cuts through the fattiness of the meat and makes the perfect combination. Duck is often paired with Plumb, Orange and Cherry sauces. 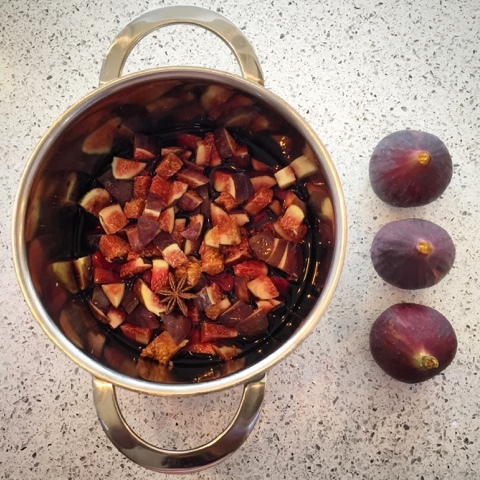 Time for an in-season figgy twist. Entry is via the Rafflecopter widget below. To enter, let me know in a comment "What's your favourite way to eat duck?" For additional bonus entries you can follow me on Twitter, Tweet about the Giveaway or like me on Facebook. Giveaway ends 12th October 2015 12:00am. Good Luck! 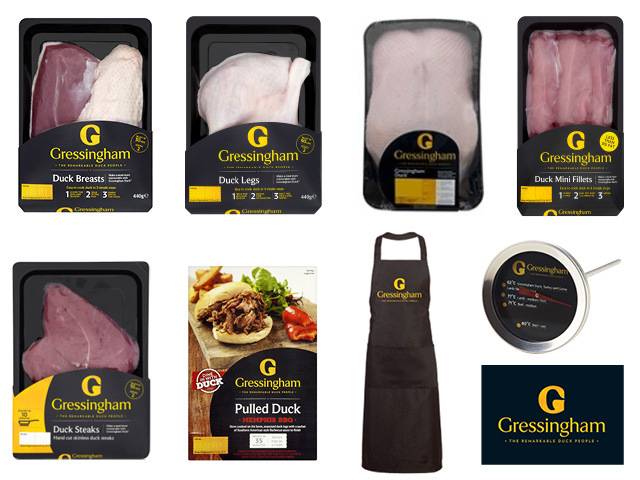 Disclosure - Gressingham Duck provided me with product and vouchers in return for this post. All views expressed are my own. Love duck, and also love savoury meat with fruit sauces so this looks like a keeper. I'm going to be sad when figs are done for the year! I think my favourite way to eat duck is just simply pan seared! Nothing complex. I was going to delete your original comment but its made me giggle so much that I'm going to let it stay. spring rolls with lots of veg. I love duck in a wrap with spring onions and hoisin sauce. Roasted with a Sunday roast. With pancakes and plum sauce. Spring duck rolls for me! I'm ashamed to say I've never tried it! Must do soon! Usually pan seared and then cut into strips and tossed in a salad. Pulled duck in pancakes is fantastic! I love duck breast grilled rare, sliced and served with sea salt and black peper - simple salad and crunchy baguette - heaven! I love crispy roast duck with stir fry vegetables. I like marinated duck with cucumber and spring onions. I also like to have it with Chinese style pancakes and hoisin sauce! Duck confit on a bed of puy lentils. I love honey mustard roasted duck with new potatoes and roasted veg...yum! I like it pad fried with onions and savoury rice. Crispy roasted breast with mashed sweet potatoes and garden peas. David Hamill - Crispy shredded duck is a favourite. I very seldom have duck - perhaps it's time to try it more. Honestly, I've never eaten it but would like to try it. I would probably slow roast it. This looks so delicious! I love pan fried duck with noodles and an oriental sauce. Crispy duck or duck pancakes from Four Seasons, Bayswater, London, is by far my favorite. They are AMAZING!! With fresh pineapple in a plum or lemon sauce - yum! I love Duck linguine with plum sauce and chopped spring onions. 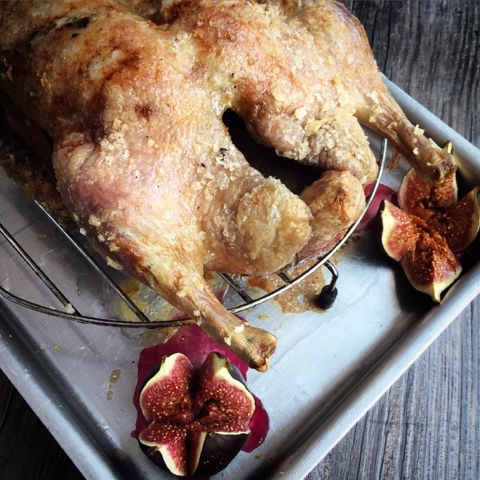 Roast duck with apricot and apple. i love duck breast pan fried with really crispy skin. Mmmmmm! Confit de Canard in a casserole with mushrooms and carrots. I love duck roasted with honey and rosemary, served with roast potatoes and green beans. Confit leg with red cabbage and duck fat potatoes. Mmmmmmm. With an Asian squash salad. 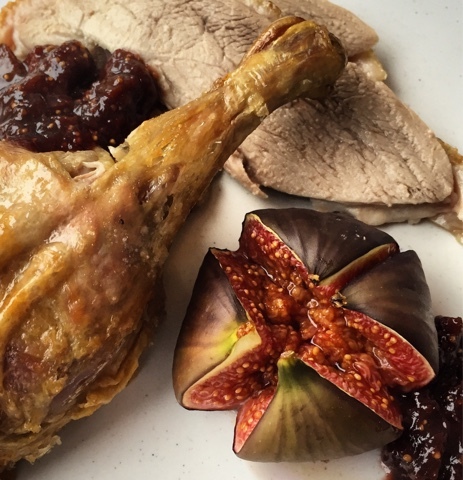 I love duck roasted in the oven then quickly stirfried with a plum sauce. Timing is essential - it has to be pink! I love crispy duck breast with spring onions, cucumber and wraps. I love duck in plum sauce. Yum! I love to have duck for a Sunday Roast. I love to eat crispy aromatic duck with pancakes, soy sauce, cucumber and spring onion! Roasted with potatoes and vegetables. Shredded duck with plum sauce & little pancakes. I absolutely love roast duck on a Sunday with proper onion gravy, but duck in hoisin sauce is a close second! I love Chinese style crispy duck with plum sauce! I have only ever had it from a chinese takeaway as crispy duck so I'll have to go with that but I think I need to get trying some duck dishes. I love cripsy duck pancakes with plum sauce and cucumber and spring onion! Chinese crispy duck - can't beat it. Duck with plum sauce with roast potatoes, Carrots and parsnips. Roast duck with cranberry and orange sauce - yummy! 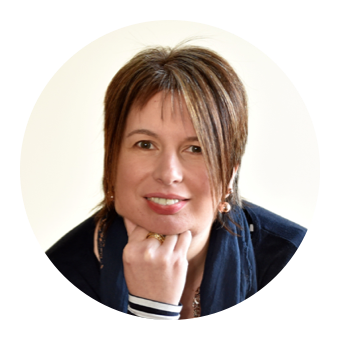 I love roast duck with gravy and vegetables done in the Chinese takeaway at my Mum's house... I've never actually cooked it myself yet... this would be a first if I win - would love to give it a go. My favourite way to eat duck is in a salad with orange, so tasty and refreshing too! Duck and orange sauce, lovely! Crispy duck and hoisin sauce! Nothing compares! Love love love duck! Haven't found a way to do it that wasn't to my taste yet! But, crispy with pancakes, spring onion and shredded cucumber and lashings of hoisin is a real fave of mine! Crispy Duck is my favourite. I love duck with plum sauce!! L'orange! I know it's not very different but it's the best! I love shredded crispy duck with dipping sauces of orange and plum. With plum sauce and spring onions! Crispy duck with stir fried veg and a plum sauce. I like roast duck and then use the bones to make a duck soup!